My new desk (originally intended as a vanity table…shhhhh) was delivered the day after we got back from our Nostalgia Tour in Ithaca, New York and Pittsburgh. 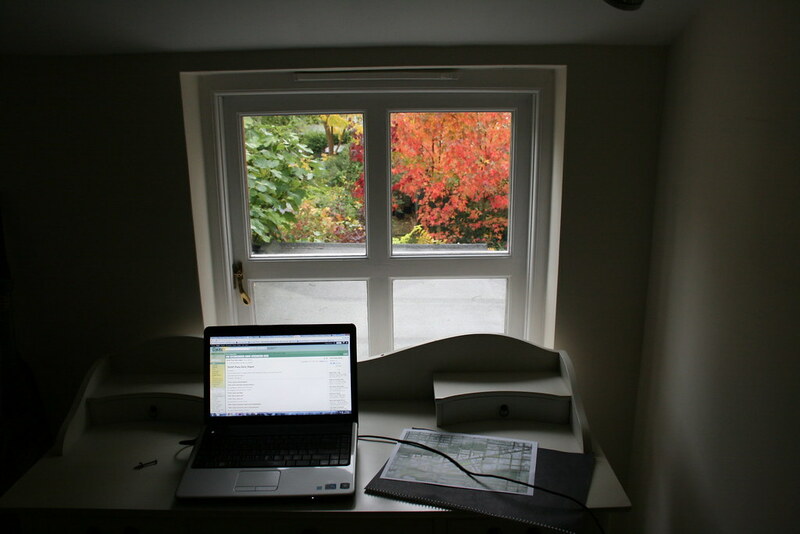 The desk fits perfectly into my little office and has the best view in the house, over the back garden. Since all of our walls are made of brick and we have – literally – zero closet space, the final phase of unpacking has been progressing slowly. I was also flat-out the last couple days working on my portfolio (working!) for an informational interview that got cancelled. Anyway. The salient point here is that the delivery of my desk represents a big step forward in the nesting process. Photos below.